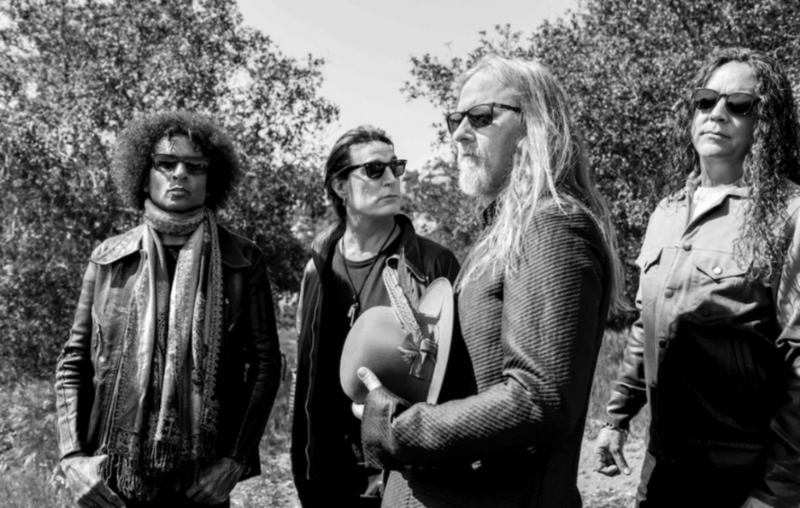 ALICE IN CHAINS - Release New Video For Black Antenna Series "Episode 04 (Fly)"
Alice in Chains have released a new video for their "Black Antenna" series "Episode 04 (Fly)". Episode four. “Black Antenna” is a dark sci-fi thriller set against the backdrop of the band’s Grammy-nominated album, Rainier Fog (BMG). “Black Antenna” was directed by Adam Mason, written by Paul Sloan and Adam Mason, and produced by Elizabeth Mason and Nick Vallelonga, who recently won two Oscars (“Best Original Screenplay”) and (“Best Picture”) for “Green Book” (Vallelonga also has a cameo in episode one of “Black Antenna,” “The One You Know.”). The film stars Paul Sloan as Alpha, and Viktoriya Dov as Beta. Black Antenna also stars Darri Ingolfsson (Dexter) as Nil, Lily Robinson as Malum, Eric Michael Cole (Gia, White Squall, Hangman), Mike Hatton (Green Book), Luke Shelton, Jerry Raines, and Daniel Louis Rivas.